Indeed, Thursday's replay announcement was a home run for MLB, Jon Paul Morosi says. In a trying month for baseball, this was a good day. For much of the week, it seemed as if Alex Rodriguez was intent on shattering two decades of relative peace in our national pastime. 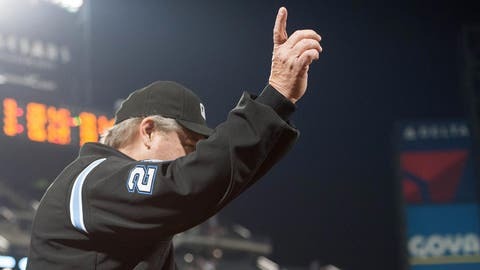 But here was one achievement even Rodriguez couldn’t smear: Major League Baseball, the MLB Players Association, and the World Umpires Association decided — collectively — to expand instant replay, and they did it the right way. It took years of thoughtful evolution on the issue — from commissioner Bud Selig and others — and then months of intense work from the triumvirate of John Schuerholz, Joe Torre and Tony La Russa, and MLB executives Peter Woodfork and Chris Marinak. The best part? As MLB officials spoke during a Thursday news conference, they did so with complete candor about the system’s strengths and limitations. It is not perfect, they cautioned. It could (and probably will) change after the first year. The game will be fairer, because umpires have more resources to get calls right, and more transparent, because fans inside stadiums will see the same replays as the umpires when calls are challenged. Managers have one challenge for the first six innings, which they keep and are able to use once more if the challenge is successful. From the seventh inning on, the umpire crew chief is the sole arbiter of when replay is used. Thus, a new element of strategy has been introduced into the game. This is good for second-guessers. In other words: all of us. Torre openly acknowledged what had been pointed out by many in the game for several months: Teams will contour their clubhouse video systems with chains of communication designed to alert managers right away if a call should be challenged. Torre said that is all within the rules. In fact, a dedicated phone line will run from the clubhouse — the video coach/monitor, so to speak — into the dugout. There’s no subterfuge. It’s completely legal. The only caveat is that managers must notify crew chiefs verbally and in a timely manner to lodge a challenge. What is the definition of timely? Well, that is up to the umpires. But Torre said managers could be disciplined if their players stall or otherwise try to abuse the system. Remember: Selig has spoken out repeatedly about the need to speed up the game’s pace. You can rest assured that his umpiring crews will be harsh on strategic dawdlers, particularly early this season. The system is more inclusive than exclusive, in the types of plays subject to review. Balls and strikes aren’t reviewable. Nor should they be. But here are some of the plays that are: force plays (including at first base), tag plays, trapped balls in the outfield, fair/foul calls in the outfield, and whether batters have been hit by pitches. The “neighborhood play” at second base on double plays can’t be reviewed, at the MLBPA’s urging. Players didn’t like the idea of middle infielders keeping their feet planted on the bag — at an increased injury risk — simply because opposing managers could challenge the long-accepted “phantom tag.” This was a good compromise, and it underscored the essence of what instant replay was supposed to accomplish: help umpires correct their controversial misses while keeping the rest of the game as it is. This is not a foolproof system, but it is the right system for baseball in 2014. And that is worth celebrating, after a few days when it seemed as if the bad news (much of it driven by A-Rod) was never going to stop. Meanwhile, MLB and the MLBPA will continue working toward an agreement on the ban of home-plate collisions. MLB COO Rob Manfred said Thursday that he’s optimistic the rule change will be in place before Opening Day, and it’s hard to imagine the union obstructing that effort. The movement is rooted in player safety, which is, obviously, of great concern to the union and the rationale for the “neighborhood play” exclusion from the replay system. In that way, it was easy to see Thursday that baseball remains on a healthy trajectory as long as the commissioner’s office and union can overcome the recent PED malaise. The steroid problem is vexing — and very much ongoing — as Anthony Bosch demonstrated in saying what a “cakewalk” it was to beat baseball’s testing system during the much-talked-about “60 Minutes” segment. We can question whether MLB will catch enough cheaters with those tests, or if it was really worthwhile to spend millions of dollars on the Biogenesis investigation. 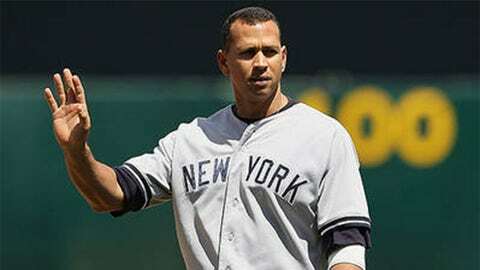 But we must also acknowledge that, usually, Selig and his lieutenants do right by the game. Think of that the first time you see a manager issue a replay challenge in 2014.